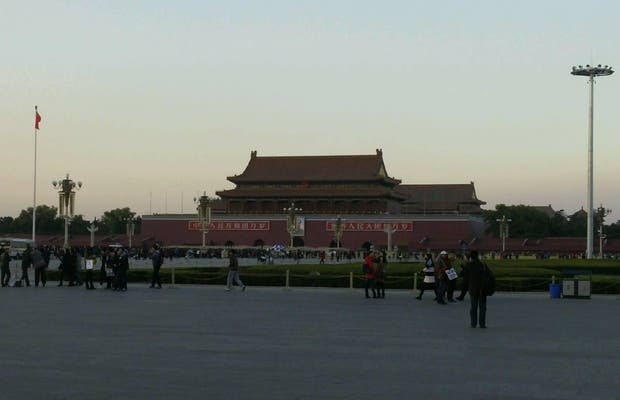 Beijing's legendary Tiananmen Square is the largest square in the world. It is one of the places where you can really "feel" the history. With 440,000 square meters and 880 meters long by 500 wide, this square was conceived by China's Communist government in 1949 in order to hold political acts on a grand scale. It is located beside the also famous Forbidden City. Some of its most important sights are Mao Zedong's masoluem, where the embalmed body of the former communist leader now lies, the obelisk that honors the People's Heroes, the National Assembly or the Museum National History and the Revolution. The most big square in the world! It’s huge, and also unusual because it’s not full of buildings; they are only on the perimeters. An advice: go there in the morning, because a lot of tourists visit it, and less they are, better it is!